Are you a big spender? Here are suggestions on how you can break your old habits and get started saving. It's never too late to change your money habits. These tips can get any spender into the habit of saving. * Start saving by saving small. Putting aside 10 or $20 every paycheck means that you have $10 or $20 later on that you wouldn't have had if you had not saved it. If it's hard for you save money, try saving a small amount this month then doubling it next month and the month after. You'll find that the total will snowball in no time flat. * Start saving with an automatic payroll deduction plan. Automating your savings so that it comes out before you get your net pay makes it so that you don't miss that money. Putting your savings on automatic payroll deduction is like making something that might be hard for you to do about 10 times easier. * Give yourself a cash allowance. This is something that my husband and I started doing 10 years ago and it has made a huge difference not only in our financial life together but also in how we treat each other in the relationship. So we know that we can't question each other about the allowance we receive or how we spend it. We also know that any monies in our joint account goes towards our monthly bills and our monthly savings goals. Sticking with the allowance plan has basically eliminated any fighting in our marriage about money. * Track where every penny is going. 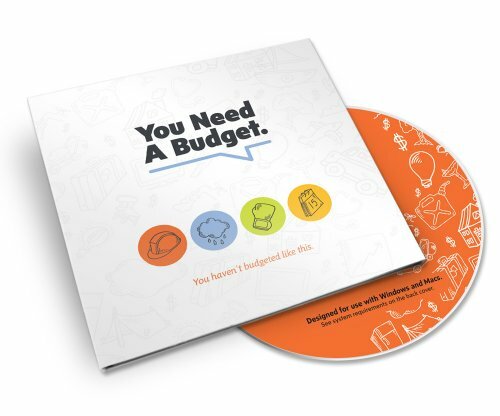 This is different from a budget because a budget allows you to plan how to spend. Tracking your spending is like checking on how your money is spent. If you don't like how the money was spent this month, you can adjust your plans or goals for next month. Some people think that tracking how you spend money is easier or at least less intimidating than creating a budget. * Cut back on your credit card spending or eliminate credit card use altogether. This keeps you from spending money that you don't already have. It also means that you're not spending money on monthly finance charges and all of the other hidden costs that come with using credit cards. If you use it at all, save your credit card for major emergencies. * Don't pay for something that you can do yourself. An easy example of this is to cook at home instead of eating out. In most cases you can save some serious coin by cooking at home. On busy days sometimes I don't feel like being the one to cook dinner so I ask my husband if he can do it or we can have something easy for dinner that we just put together at the table like soup and sandwiches. There are lots of other ways that you can eliminate paying for something that you can do yourself. * For your new savings plan or in your new goals to limit your spending, find someone to whom you can be accountable. You can go over your progress in your goals every month with that person or just arrange to call him or her when you feel like spending too much money so they can talk you off the H. If you know you have that person who holds you accountable, often times that is enough to keep you on track. * Learn to delay gratification. You don't need everything you want at the exact moment that you desire it. For example, I love my android phone but I also see new versions of android phones coming out monthly and I am tempted by them. But I ask myself do I need that new phone with those features? Can my current phone do all of those things? If I still want that new phone, I will tell myself that I can buy it after we do our taxes or with some other kind of deadline. Often times, once I get to that deadline, I don't even want thing I'd set the deadline for. * The other side of the delaying gratification coin is to learn to save for something special. So, for example, you want a new tablet or laptop. Put aside an amount of money every month until you have saved enough to buy it. Not only will you avoid going into debt to get it, but you will also feel a sense of satisfaction at having waited until you've saved up the money to buy it. Following some or all of the above tips will get you started on your transition from spender to saver. You will be proud of yourself at taking control of your money instead of your money controlling you. I love the YNAB software! You can track all of your expenses and budget so that you pay your bills a month in advance using this system.